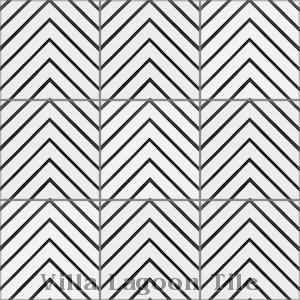 This geometric pattern we call "Labyrinth" provides infinite possibilities. 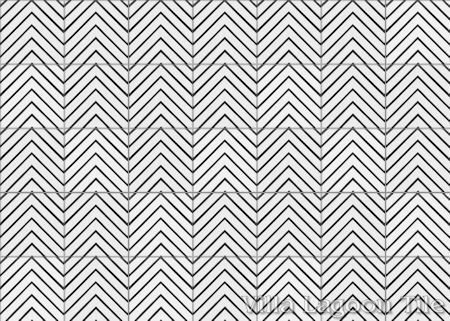 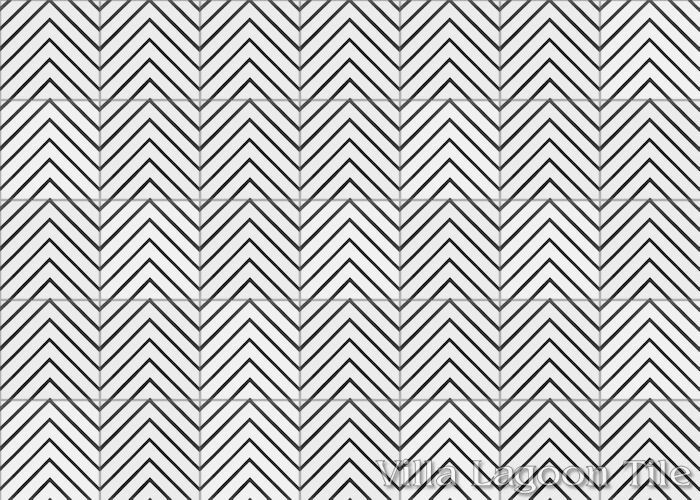 Just a few basic chevron lines can be laid out to produce zig-zags, concentric squares, or build a maze! 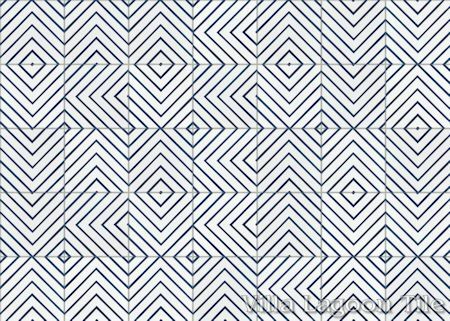 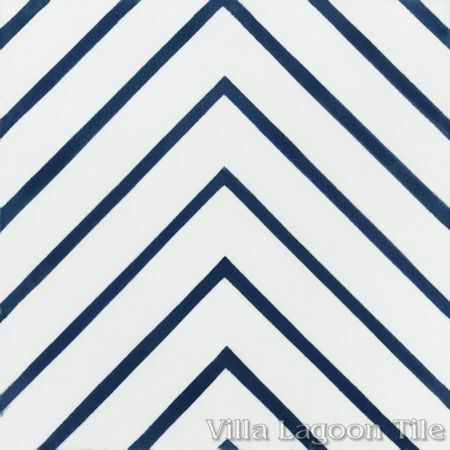 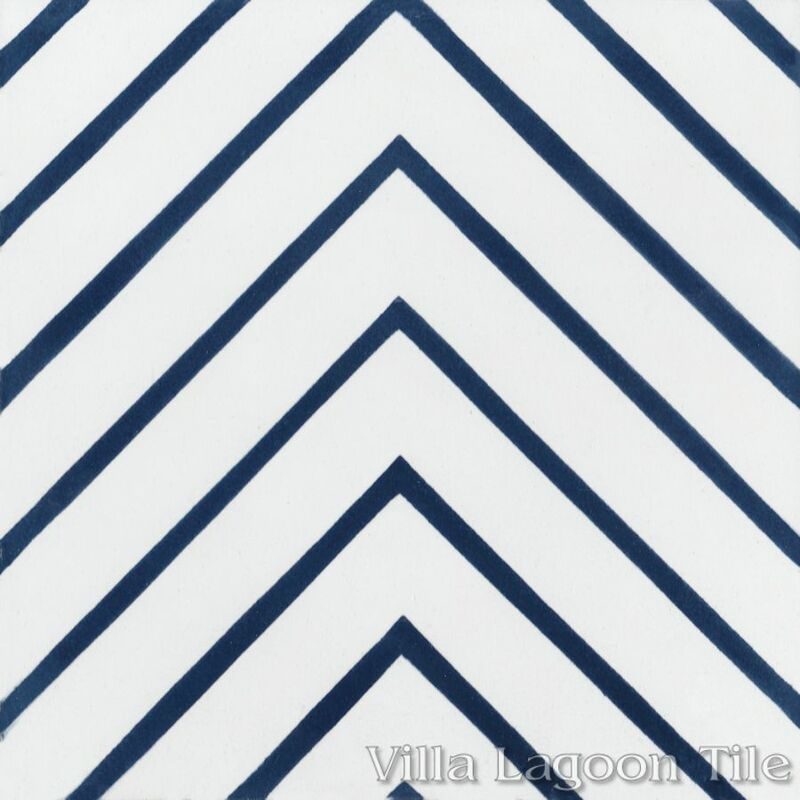 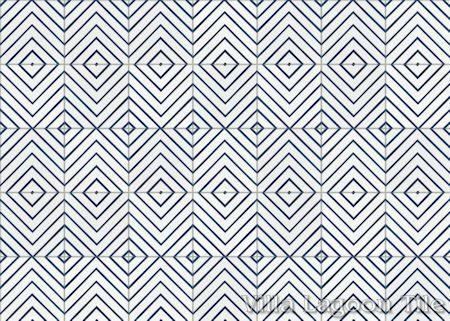 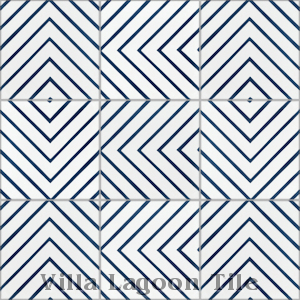 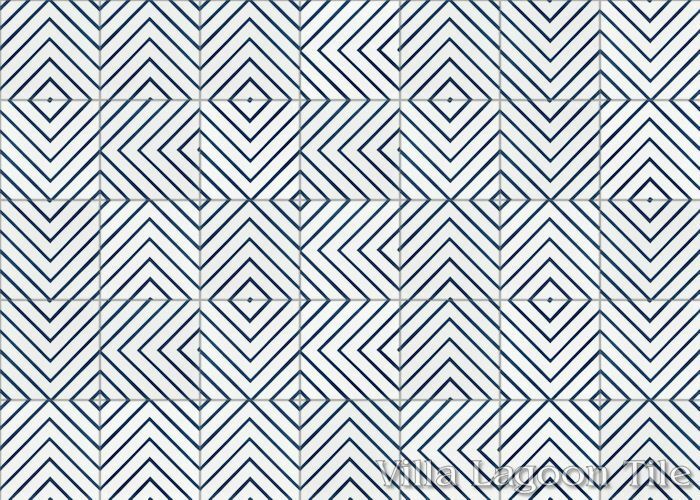 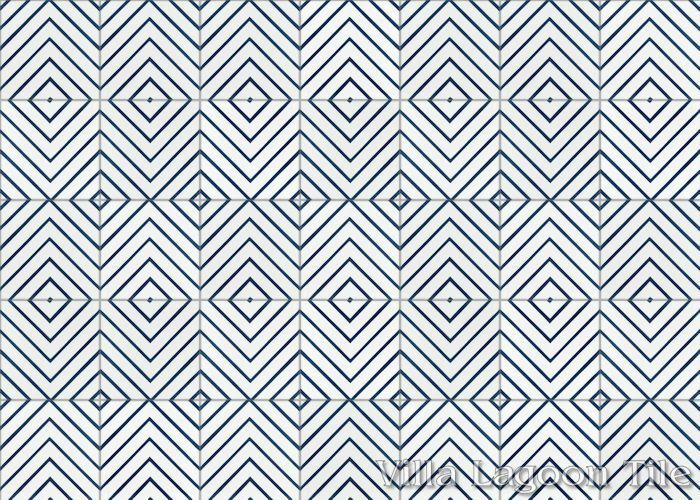 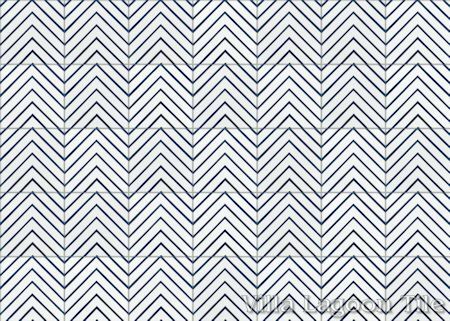 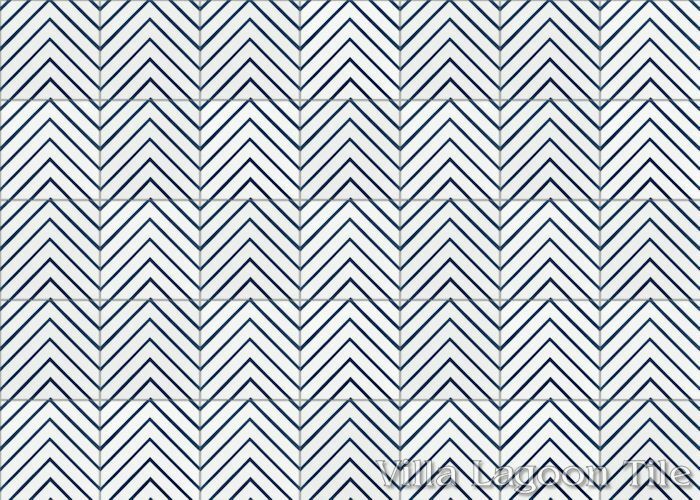 Villa Lagoon Tile's "Labyrinth" cement tile pattern using Berry Blue and White from the South Beach Palette. 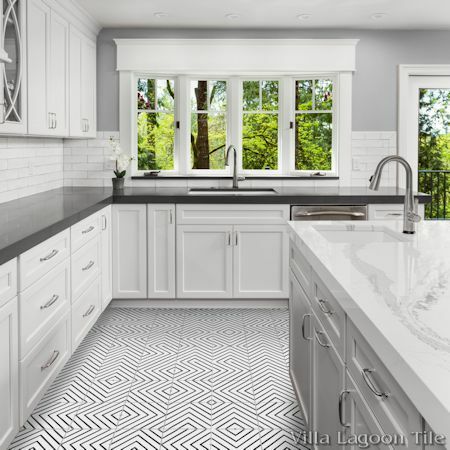 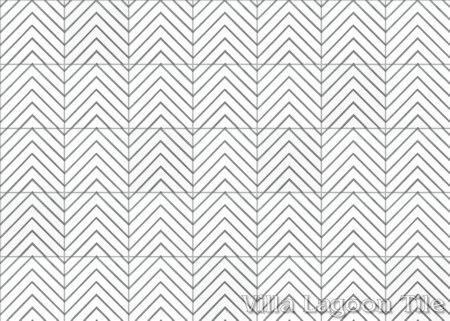 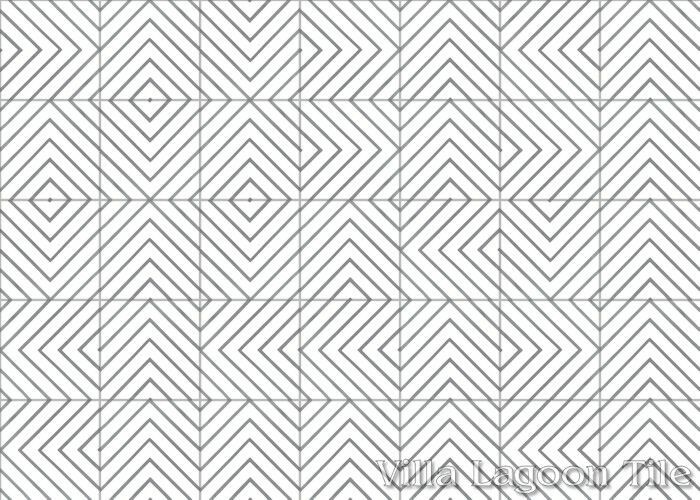 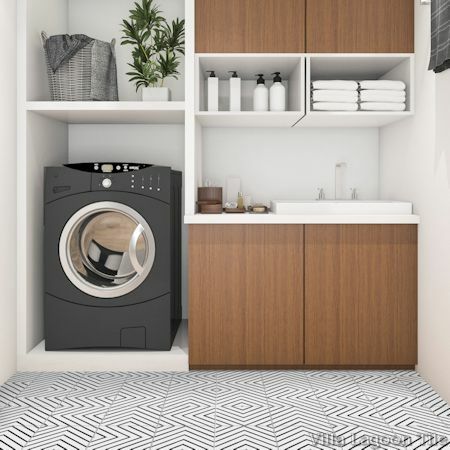 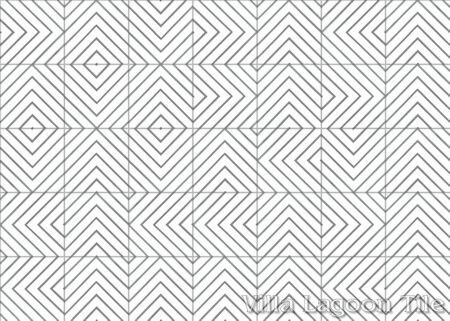 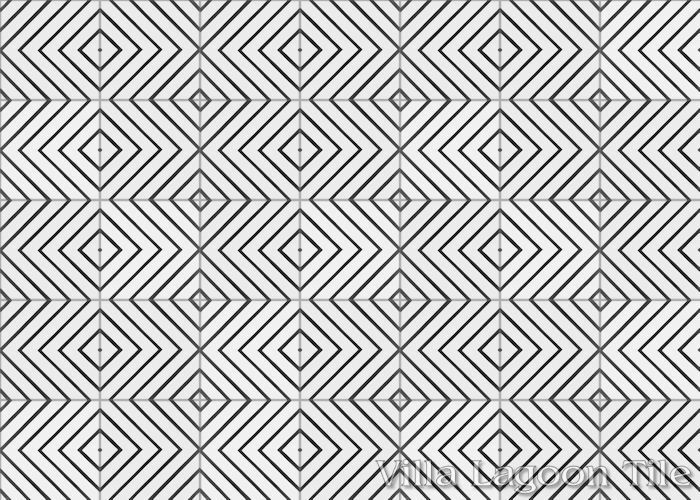 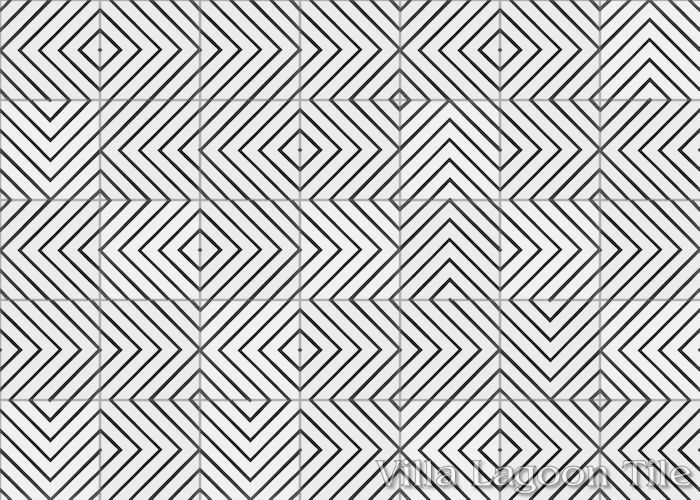 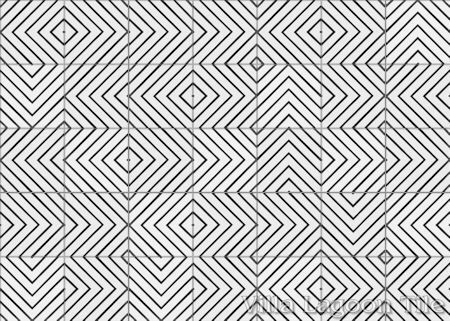 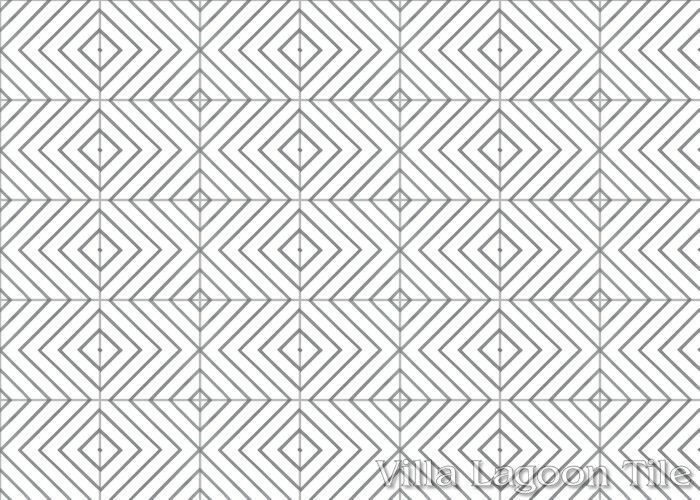 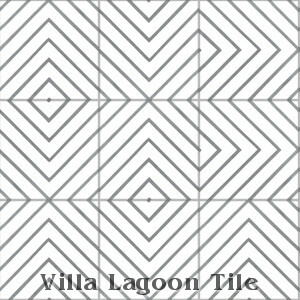 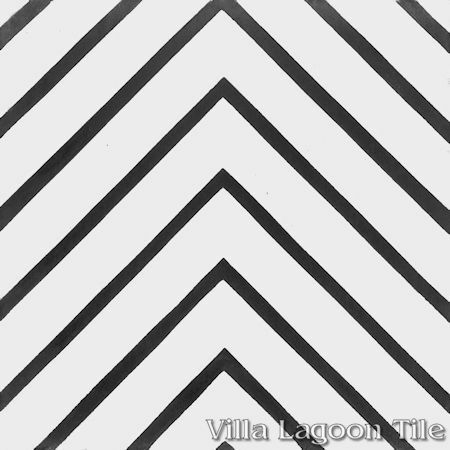 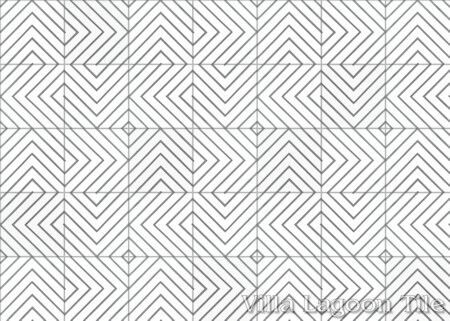 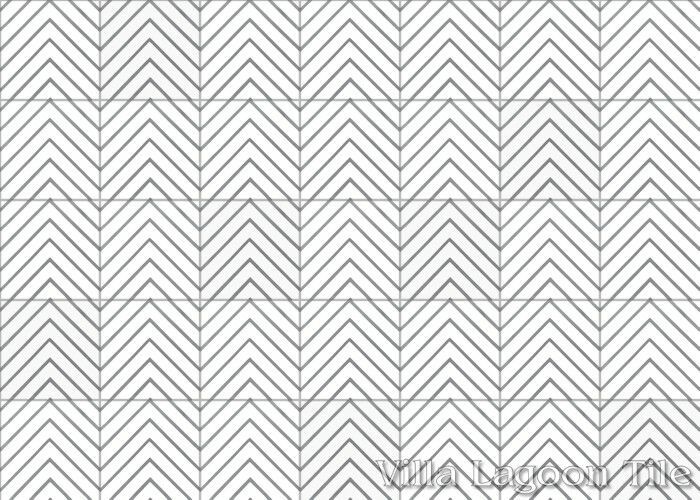 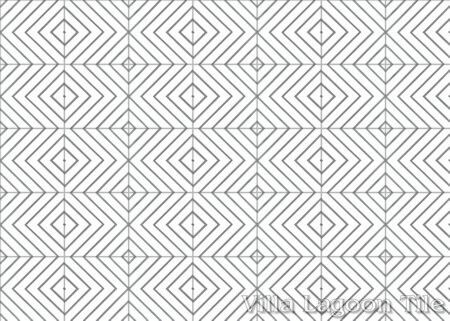 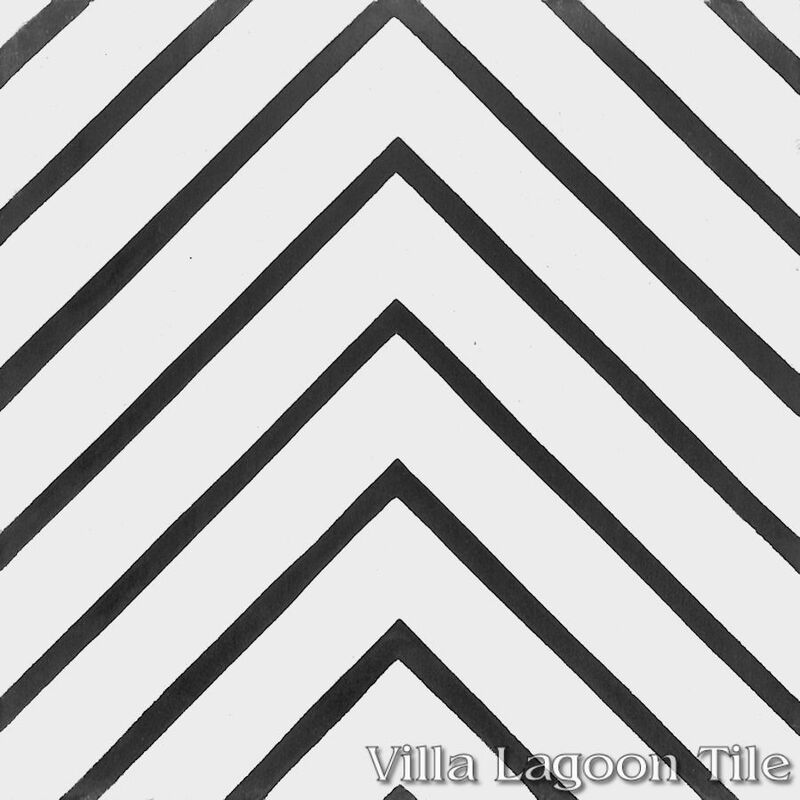 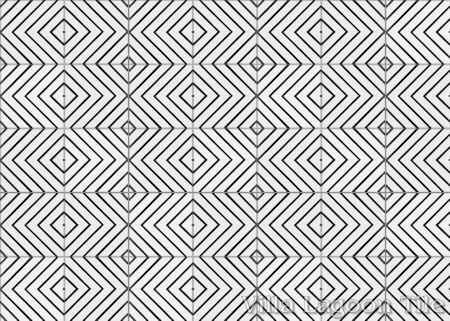 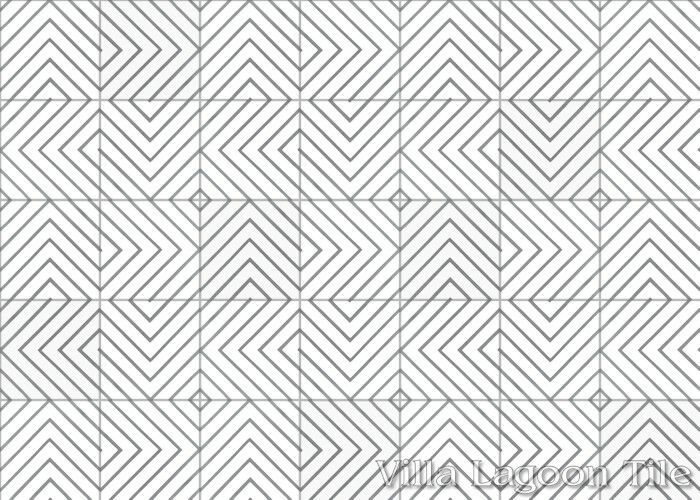 Villa Lagoon Tile's "Labyrinth Black & White Morning" cement tile pattern using Black and White from the South Beach Palette. 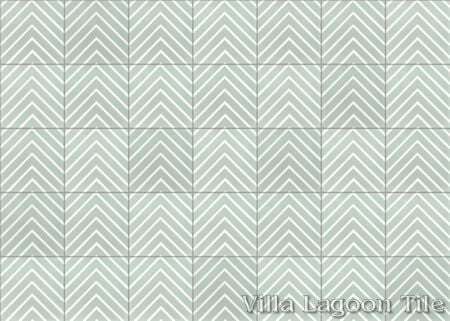 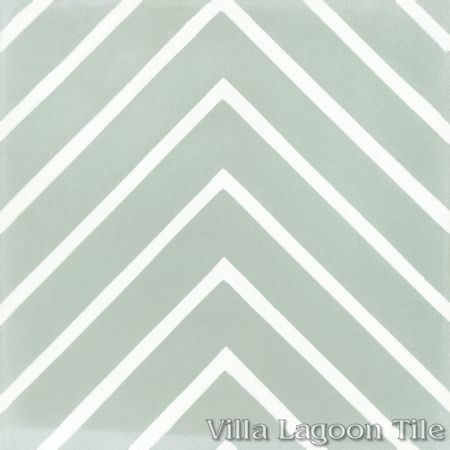 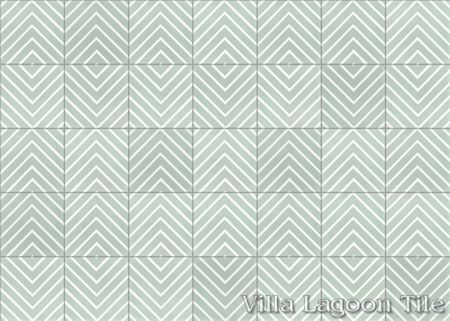 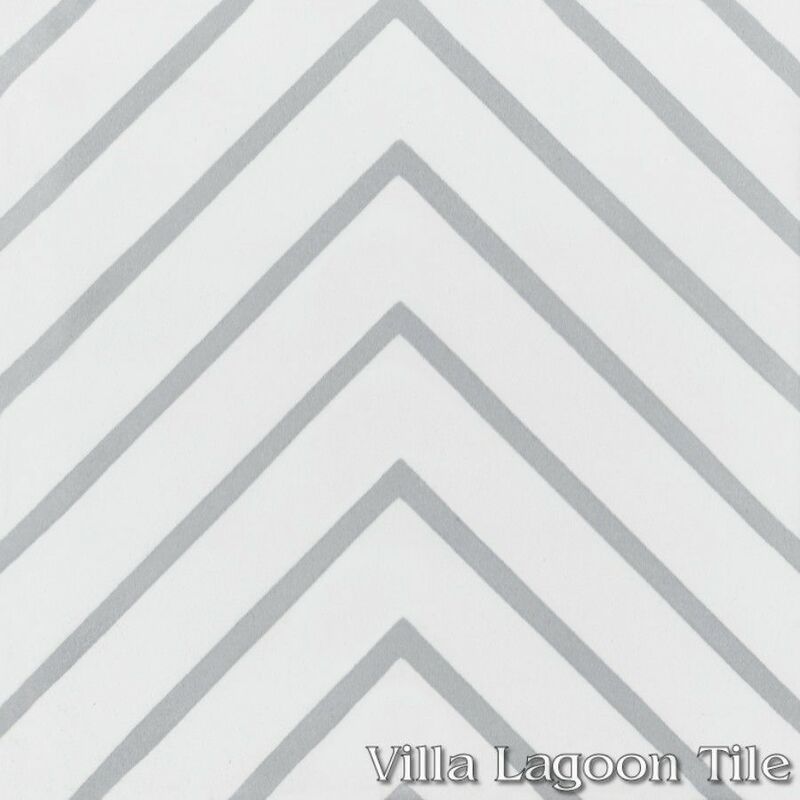 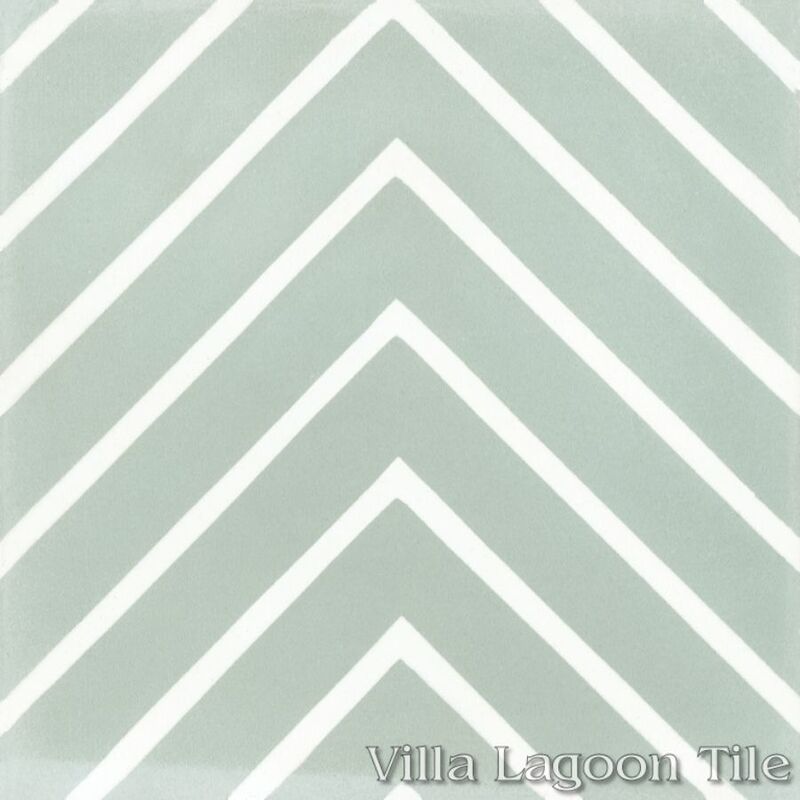 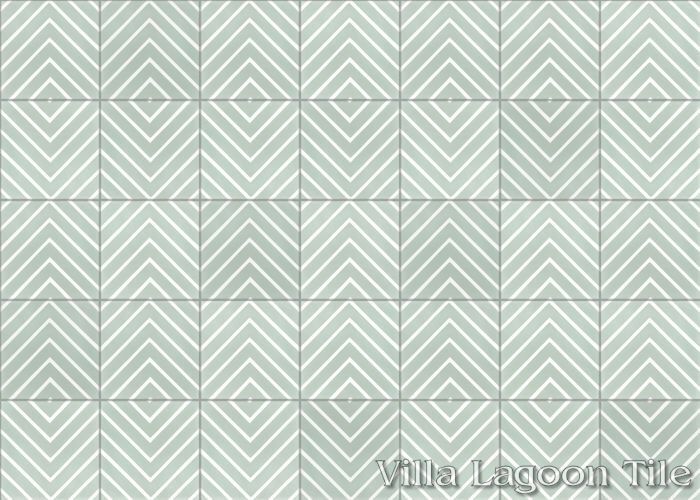 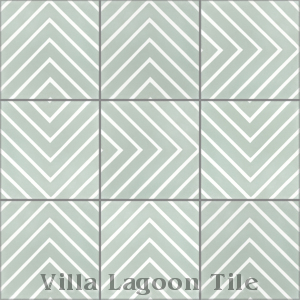 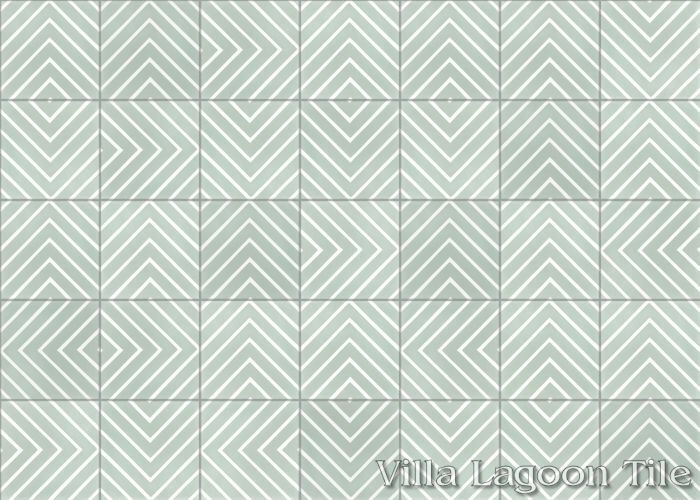 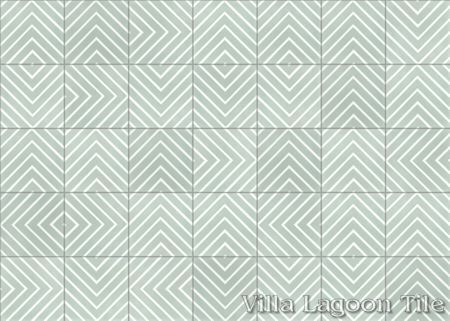 Villa Lagoon Tile's "Labyrinth" cement tile pattern using Pale Jade and White from the South Beach Palette.